Worldwide Media Applications Market to reach $5.4 billion by 2022, compared with $4.8 billion in 2017 at a compound annual growth rate of 2.5%. In 2017, the top 10 Media software vendors accounted for nearly 52% of the global Media applications market which grew 10.9% to approach nearly $4.8 billion in license, maintenance and subscription revenues. Adobe was the market leader with 13.2% market share in license, maintenance and subscription revenues, followed by Cision, Salesforce, Open Text and SAP. Through our forecast period, the Media applications market is expected to reach $5.4 billion by 2022, compared with $4.8 billion in 2017 at a compound annual growth rate of 2.5%. As online and mobile delivery becomes the norm across the media landscape, front-end investment to capture incremental and recurring revenues will become more important than ever. Tools for ad retargeting, audience development and subscription management are expected to fare well. Here are the rankings of the top 10 Media software vendors in 2017 and their market shares. 1 Adobe Subscribe Subscribe 24.7% Subscribe Adobe acquired Marketo for marketing automation and Magento for eCommerce as it pivots from content to CRM and aims to unseat Salesforce for those functions in key verticals. 2 Cision Subscribe Subscribe 124.1% Subscribe Cision acquired Falcon.io, which provides brands with insights into their global content strategy and the management of comprehensive social media marketing programs through publishing, engagement, listening, advertising and measurement. 4 Open Text Corporation Subscribe Subscribe 22.9% Subscribe Aligns with Amazon Connect to expand into Contact Center As A Service market with OpenText Qfiniti. 6 Meltwater Group Subscribe Subscribe 11.0% Subscribe Meltwater acquired Sysomos for social analytics and engagement, and DataSift, a privacy-by-design data and analytics platform that extracts real-time insights from social and online data sources, while protecting user privacy. 7 Microsoft Subscribe Subscribe 1.1% Subscribe Migrating legacy AX, C5, GP, NAV, and SL to Dynamics 365 for the Cloud remains the top priority for Microsoft’s evolving enterprise apps strategy, whose success will depend on strengthening ties with ISV partners in strategic verticals. 8 IBM Subscribe Subscribe -4.7% Subscribe IBM acquired Red Hat for Cloud security, while IBM unloaded Notes, Sterling and other assets to HCL. 9 Oracle Subscribe Subscribe 3.4% Subscribe Oracle has signed more than 22,000 Cloud ERP customers including many listed below. The number of Oracle Cloud ERP customers totals nearly 6,000 for Oracle ERP Cloud and 16,000 for NetSuite. 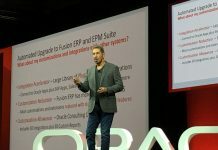 Each quarter Oracle is migrating at least 200 customers of its on-premise ERP systems like E-Business Suite to the Cloud. 10 Operative Subscribe Subscribe 30.4% Subscribe SintecMedia relaunched as Operative to provide media companies with products for the future of media featuring broad integration, a unified product catalog, flexible demand and supply-side management across digital, linear, advanced TV and other channels. On the buyer side, customers are investing in Media applications based on new features and capabilities that are expected to replace their existing legacy systems. In many cases, competitive upgrades and replacements that could have a profound impact on future market-share changes will become more widespread. Since 2010, our global team of researchers have been studying the patterns of the latest Media software purchases by customers around the world, aggregating massive amounts of data points that form the basis of our forecast assumptions and perhaps the rise and fall of certain vendors and their products on a quarterly basis. Updated continuously, our database features extensive win/loss analysis. Each year our research team identifies tens of thousands of these Media customer wins and losses from public and proprietary sources. An expanded version of this report covers the top 600+ Media Software Vendors, offering in-depth analysis of the market dynamics, vendors’ Strengths, Customers, Opportunities, Risks and Ecosystems as well as their ability to gain Shares (SCORES) within their respective space. We also offer win-loss analysis of the quarterly wins of these top vendors and whether incumbents and upstarts pose any real threat to their standing amid shifting market requirements and user preferences.